Make a Difference! Get Involved! The PRCC's February meeting will be Monday 4/22, 7 pm at the Portland Club on 156 State Street. Speaker TBD. PRCC HAPPY HOUR CONTINUES IN 2019! 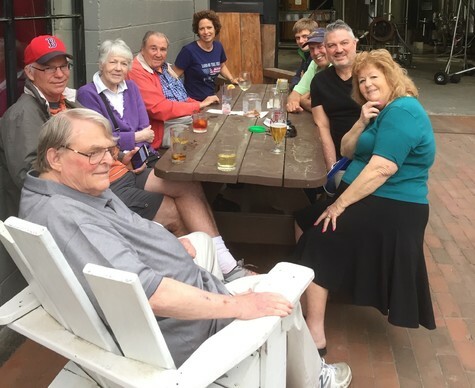 The Portland Republican City Committee is hosting its regular monthly happy hour event on Thursday, April 11, 2019 from 5:30 to 7:00 pm at Bruno's Restaurant and Tavern (https://brunosportland.com/) on 33 Allen Ave. Come enjoy the libation of your choice with current and prospective members of the PRCC and learn about ways to get involved with your fellow Republicans in the city. In addition, we voted in Peter Doyle and Mark Kilborn as new members of the Cumberland County Republican Committee from Portland and approved a bylaw change to set the minimum number of monthly meetings at 8 times per year.